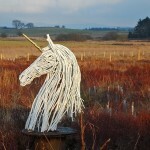 Eco Arts | Eco Arts blog coming to you from Dumfries and Galloway, Scotland. 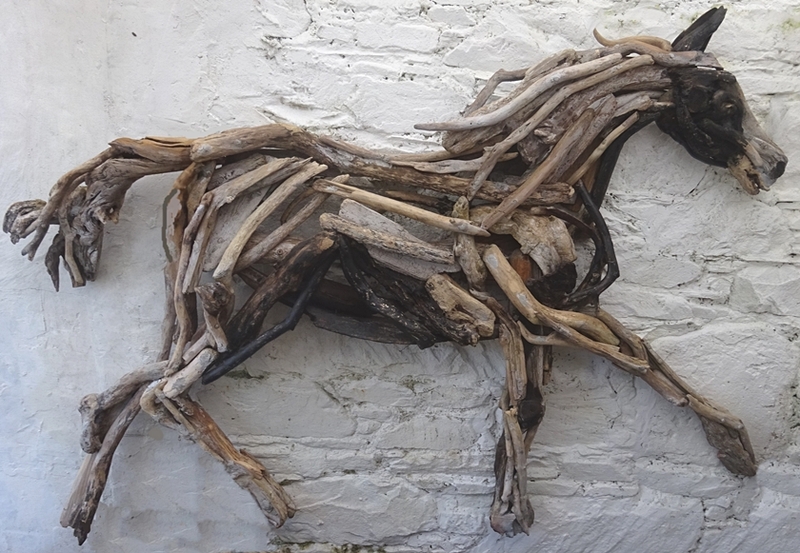 Beverley Racecourse has purchased the original driftwood sculpture of “Frankie” (pictured) and commissioned a galloping racehorse in the same style. 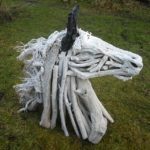 The driftwood horse measures approximately 6ft x 4ft and is destined for the Owners & Trainers Lounge at the Yorkshire venue. 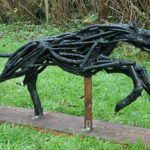 Both sculptures will go in display in time for the start of the new flat racing season in April 2019. Beverley is one of the most progressive racecourses in the country and recently announced plans for a new £4.8 million Grandstand. It is home to the Hilary Needler Two-year-old Trophy and the Beverley Bullet Sprint. 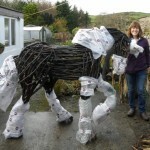 It will be a very proud moment to have two Ecoarts sculptures displayed in such a wonderful setting. 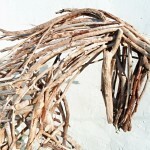 The driftwood for the sculptures has been sourced locally in Dumfries & Galloway during frequent beach cleaning trips. 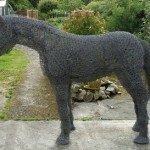 The second sculpture is named “Pippin” and measures 5ft x 3ft. Unlike previous free-standing sculptures, each sculpture is designed as a wall hanging and should make fantastic backdrop and conversation pieces on race days. 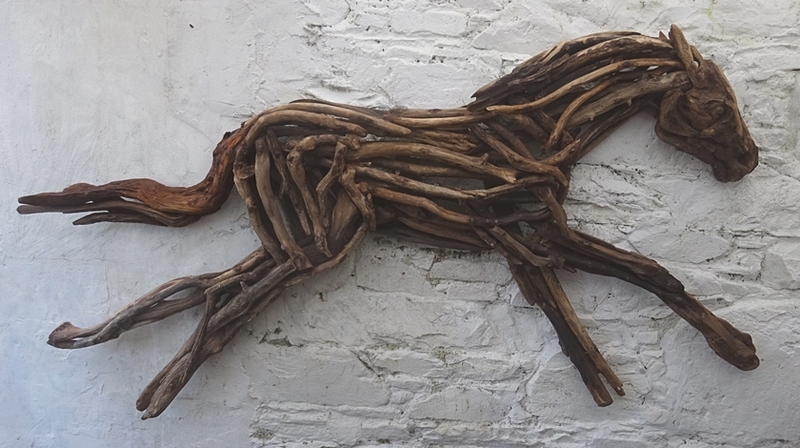 Posted in Recycled, Sculptures, Wood	| Tagged Beverley, driftwood, Driftwood Sculptures, racecourse	| Comments Off on Driftwood Horses heading for Beverley Races! 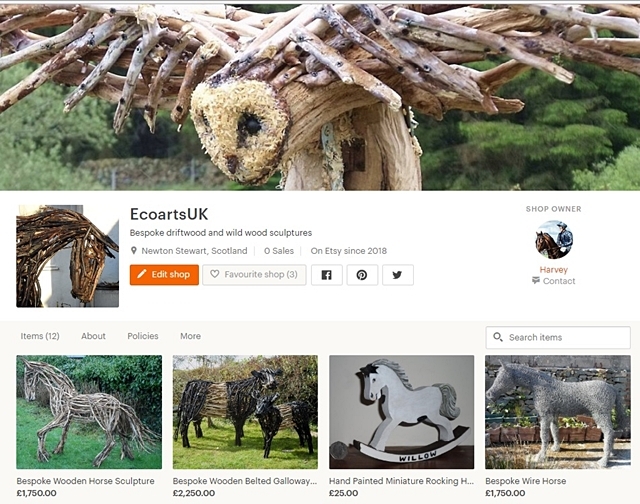 You can now commission an Ecoarts sculpture of your own via our new Etsy page. 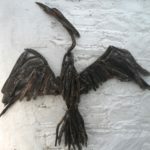 We have listed a full range of sculptures, ranging from medium sized animal sculptures to life size wooden and wire originals. 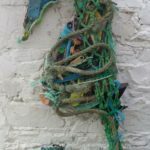 By purchasing from Ecoarts, you will be helping to support the project to create a Sculpture Park as part of the Social Enterprise project at Frugaldom in Dumfries & Galloway.